When I started my ski clinic I was comfortable on blue runs. The point of taking the clinic was to challenge myself in ways I would never attempt on my own. Having an instructor to give tips and technique would help me push the boundaries of my comfort zone and, ultimately, make me a better skier. As I have now finished the ski clinic and look towards training for my first 10K, I’ve decided Amanda’s advice is much more universally applicable to life than just to black diamond hills. Often, I’ll think about a task and the intimidation factor alone will keep me from entertaining any thoughts of pursuing it further. That’s what I’ve done with running my whole life. Longer distances seemed so impossible. BUT…no one starts training for a marathon by running 26.2 miles. 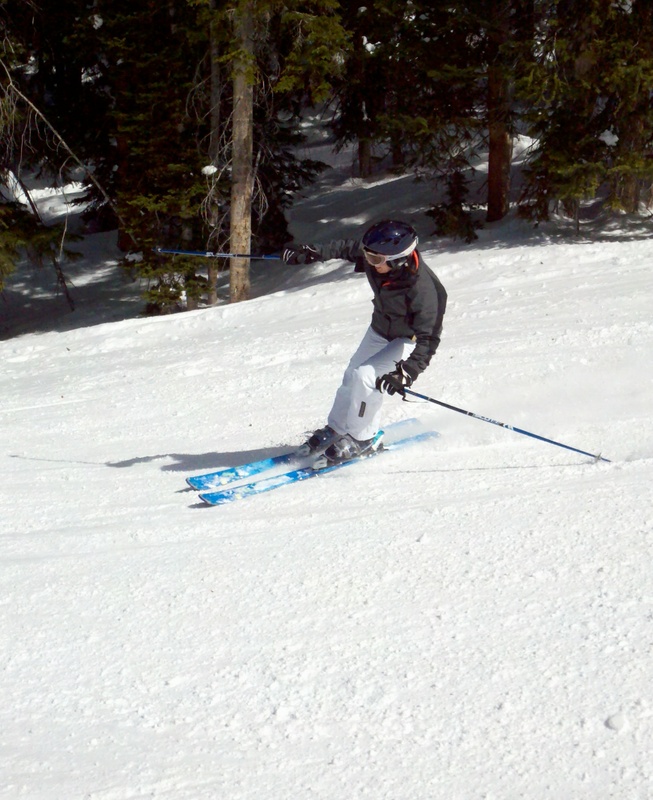 Here I am finishing off a Black Diamond Run at Brighton Ski Resort! It should be noted that after I posted this blog in the spring on Sparkpeople, someone did correct a glaring error. It was pointed out to me that while most people don’t start training for a marathon by running 26.2 miles, Chuck Norris does. My apologies for this egregious oversight!